Drumkit upheaval for winter live shows! Janne has been talking about getting a full set of concert toms for a while. Now they are here – all eight of them! Majestic! ~ by Marko Oikarinen on September 2, 2012. Yep, here they are! The drums are of the famous Majestic brand of Holland. Usually seen more often on the classical side with their open sound packed with lots of attack I’m about to put them through their paces with our kind of progressive rock. 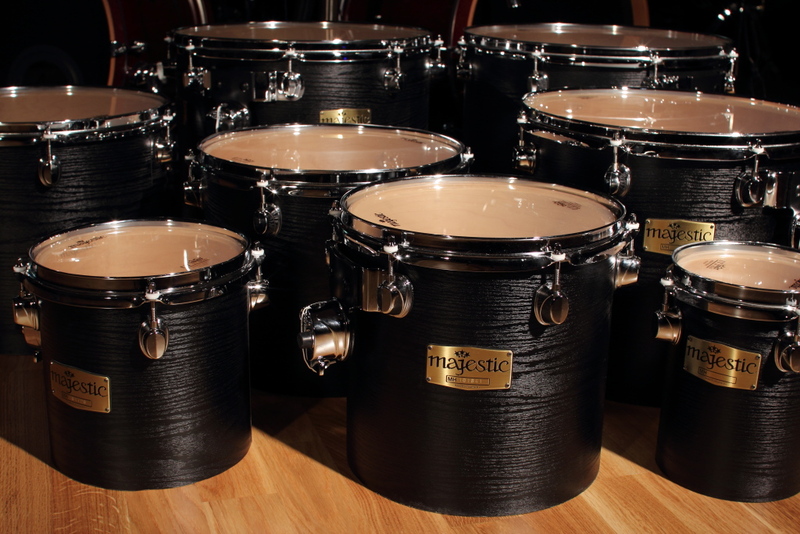 The sizes: 6″, 8″, 10″, 12″,13″, 14″, 15″ and 16″. Come and check them out on some of our upcoming shows during the next winter! Oikku will post the dates later. Thanks to Tommi Laine @ Soitin Laine for my new toms!